People all over are struck in heaven and enlightened after watching the boxoffice kings perform on screen at a time. Celebrities are very happy to share their opinion after watching mani ratnam's big painting. 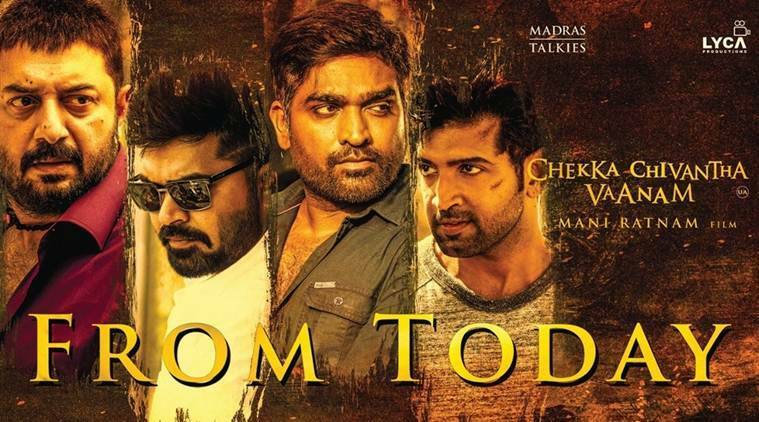 Siddharth who worked with Mani Ratnam as an assistant director and done one of the lead in his biggie Aayutha Ezhuthu is awestruck after watching CCV. R.K. Suresh who gave a debut through Bala's Thaarai Thappatai is feeling very happy about the film and shares his view. Director Karthick Naren who directed the blockbuster Dhruvangal 16 is enlightened after watching the movie and shared his opinion.